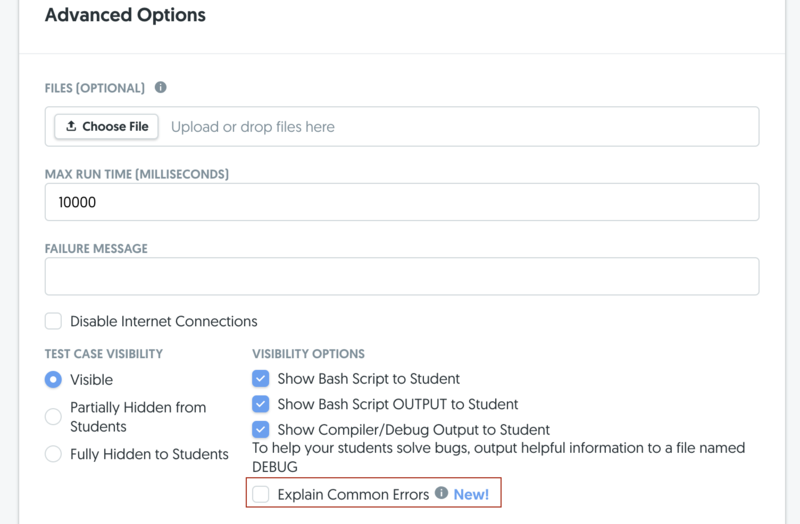 While you're setting up or editing projects and assignments with test cases, you will see an option to disable displaying common errors explanations. Our team realized there were errors in common across students' submissions so we compiled the most recurring ones for C, C++, Python, and Java. 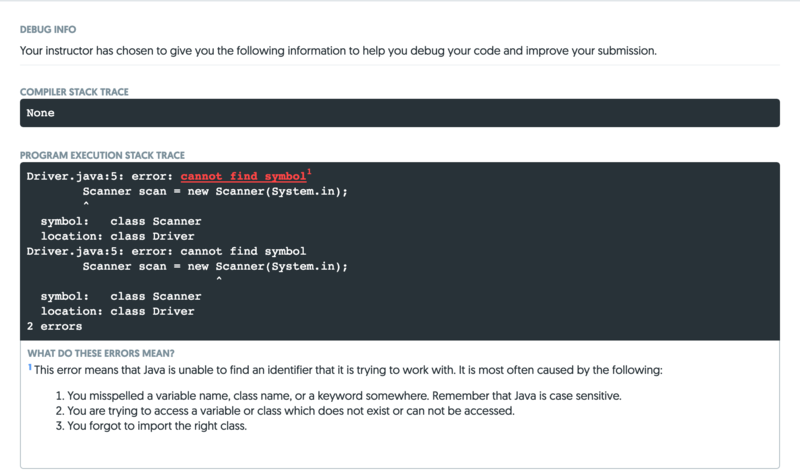 We generated explanations to guide students who may not be familiar with how compiler errors work and may find Googling errors more confusing than helpful. Because the explanations may contain clues for how to debug and may contain links to documentation, we have given you the ability to disable displaying them when you're setting up test cases. By default, it will be toggled as "visible" for new assignments and projects. Here is how they look to students for applicable errors. This is a work-in-progress feature with plenty of potential. You can find the list of errors and corresponding explanations we currently support for C, C++, Python, and Java. Share any feedback and suggestions via the chat bubble at the bottom right of your screen or contact your account manager to discuss use of this feature!